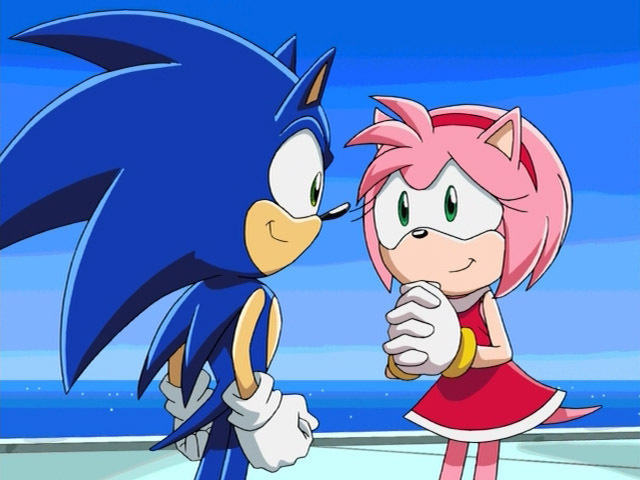 SONAMY MOMENT. SONAMY. Wallpaper and background images in the SonAmy club tagged: sonic and amy. OMG! I-a want to be in-a Sonic X. Why? To make it Sonic & Mario X. I want to be in that show! ROMANTIC!!!!!!!!!!! !I JUST WANT TO CRY!!!!!!!!!!!!!!!! !